A new year has begun but the harshness of this winter is severe on all the wild creatures. As you can see in the picture above taken at the first of December, the snow was just beginning to accumulate. 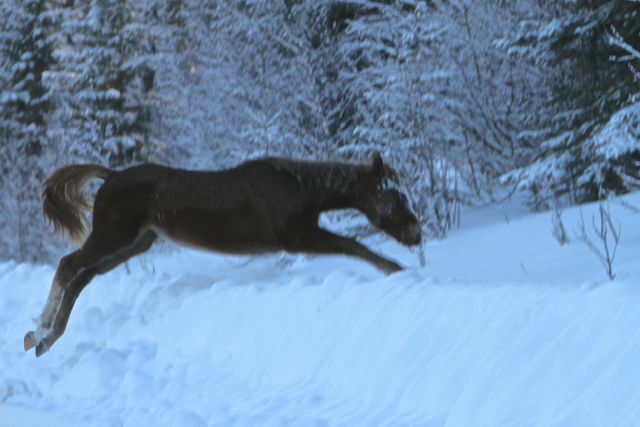 This photo was taken on New Year’s day and you can see how deep the snow has become. 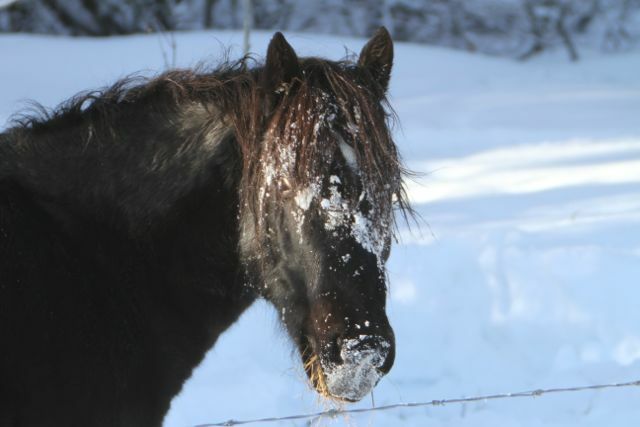 It is becoming increasingly difficult for the horses to get through the deepening snow to find enough feed to survive. The fence you see is a lease fence that is used in the forestry to segregate different cattle leases. What we found this last trip was that the family herds are feeding at great distances apart from the other members in order to find enough to eat. Several times we found mares seemingly by themselves which is completely unusual behaviour for the wild horses. Seldom will the herd stallion allow his band members to stray too far. 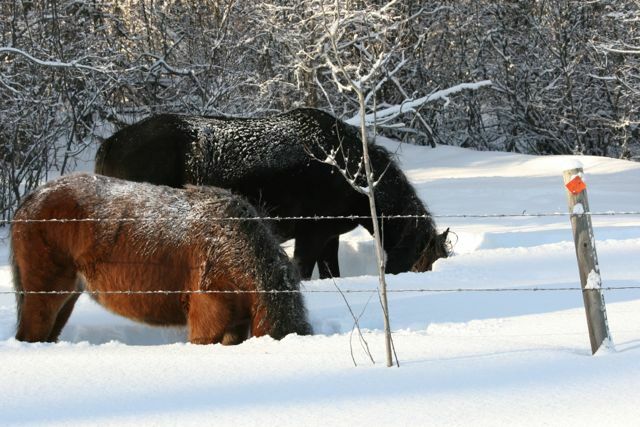 The texture of the snow is such that as the horses paw it just falls back into the pawed area and the horses have to use their heads to push the snow out of the way to find the grass. Another contributing factor that is making it hard for all the animals to move about is that the winds are hardening the top of the snow. This makes it easier for predators like the wolf to run down their prey. Sometimes, however, the wind will diminish the deepness of the snow on the more exposed hilltops. 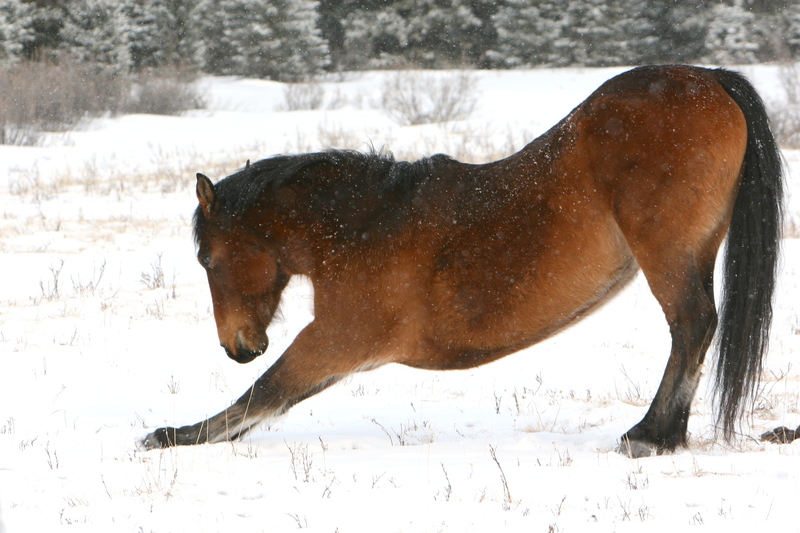 This is the only positive for the horses that find these areas as they do not have to paw so deep. This is another picture where the stallion was some distance away from these mares. 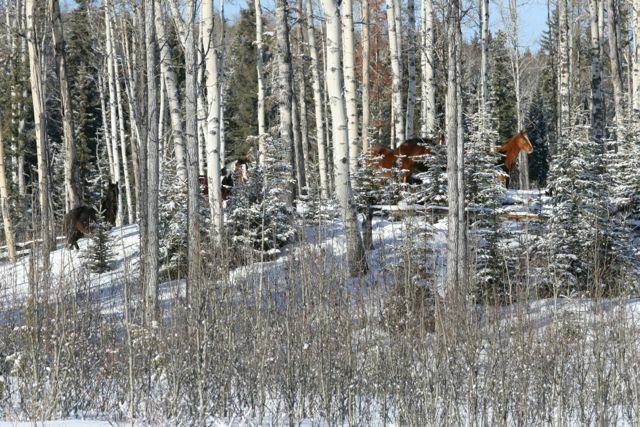 Another survival technique that the wild horses are using is to move into the heavier timber where the trees don’t allow the snow to accumulate underneath them as much. Therefore, forage can be a little easier to find. 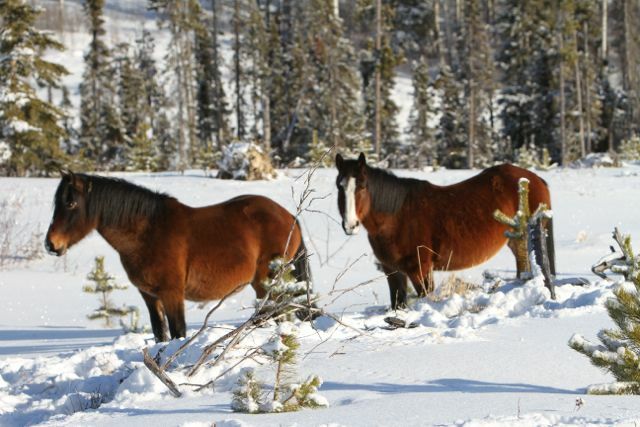 Our Alberta wild horses are survivors but already we are starting to find the remains of wild horses and deer that have succumbed to the harshness that this winter has brought. Only the strongest will survive and if this winter continues as it has then many more animals will succumb to Mother Nature. This is sometimes hard for one to accept, but it definitely points out WHOAS’ stance that there are natural factors that control populations of all animals in our Alberta foothills. Thus with the weather and the predators we strongly believe that there should be no need for a capture season this winter. 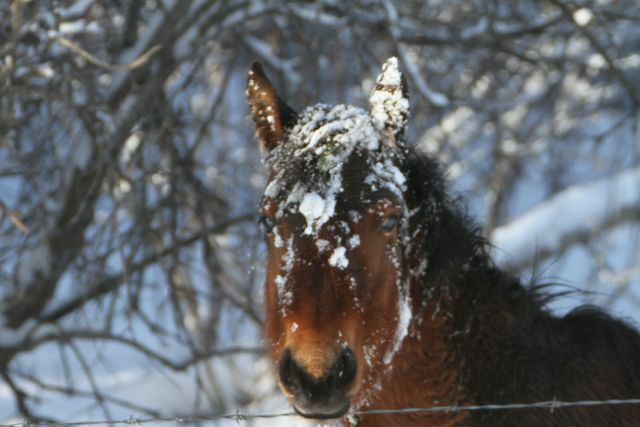 This year the wild horses definitely need all the help we can give them in preventing the additional stress of a cull. Remember that most of the wild horses if captured just go for slaughter. We still have a very few calendars left to sell. The proceeds from the sale will help WHOAS achieve it’s goal of having a rescue/handling facility in order to better manage the wild horses when human interference necessitates it. 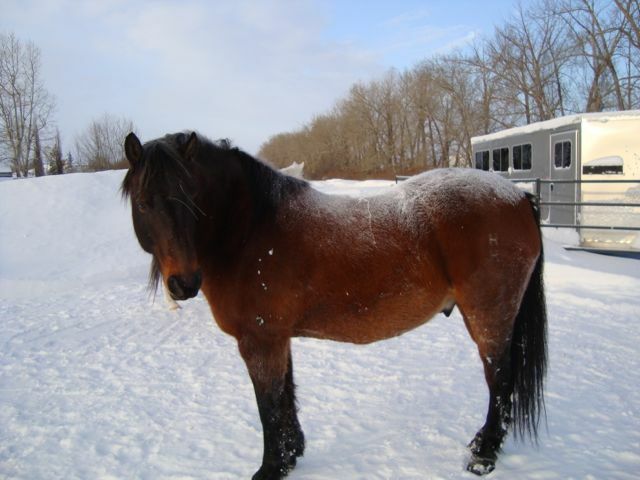 This is our Alberta wild horse that had to be rescued a few year’s ago. He has turned out to be an excellent trail horse and companion and he shows that the wild horses are worth saving and can be trained.